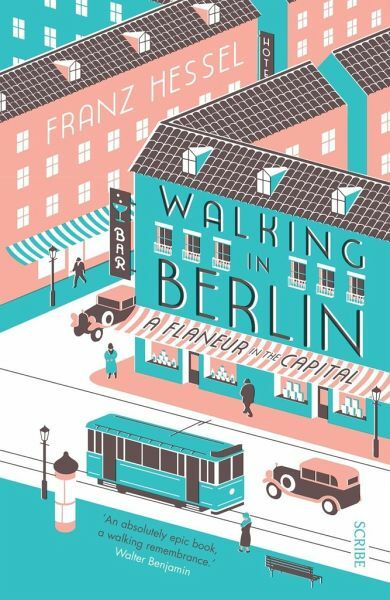 Originally published in Germany in 1929, Hessel captures the rhythm of Weimar-era Berlin, Today, many years after the Nazi era and the postwar reconstruction that followed, the areas visited are all still prominent and interesting. From the Alexanderplatz to Kreuzberg, his record of them has become priceless. As fresh today as when it first appeared, this is a book to be savoured. Franz Hessel was born in 1880 to a Jewish banking family, and grew up in Berlin. After studying in Munich, he lived in Paris, moving in artistic circles in both cities. He co-translated Proust with Walter Benjamin, as well as works by Casanova, Stendhal, and Balzac. His relationship with the fashion journalist Helen Grund was the inspiration for Henri-Pierre Roche's novel and, later, Francois Truffaut's film Jules et Jim. Their son St¿phane went on to become a diplomat and author of the worldwide bestselling Indignez-Vous! (Time for Outrage!). He also co-translated Proust with Walter Benjamin, as well as works by Casanova, Stendhal, and Balzac. Franz Hessel died in early 1941, shortly after his release from an internment camp.